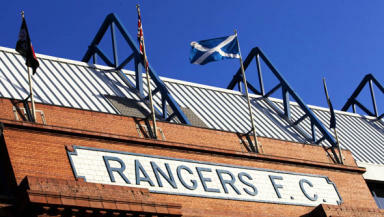 Rangers continue to hold membership of the European Club Association as a founder member of the organisation. The European Club Association has confirmed that Rangers remain as members of the organisation but that their status has been downgraded following the transfer of ownership. Following administration and the subsequent transfer of assets to a newco owned by Charles Green’s consortium, Rangers lost their place in the Scottish Premier League and were later admitted to the third tier of the Scottish Football League. Rangers do not hold a UEFA club licence as a result of a break in their accounts and, having lost their top-flight status, are no longer ordinary members of the ECA, the organisation confirmed. "Rangers FC held ordinary membership with the ECA before entering into administration and later into liquidation," an ECA spokesperson confirmed to STV. "Alike at Scottish FA level, this 'new entity' had to re-apply for membership with ECA as according to Swiss law, membership of an association is neither heritable nor transferable (article 70.3 of the Swiss Civil Code). "In dealing with these re-application, ECA applied the terms and provisions of our membership policy and statutes. 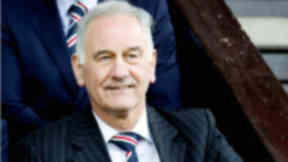 "According to the prerequisites set out in the membership policy, Rangers FC did not meet the requirements to be granted ordinary membership (top division and European licence). However, Rangers are permitted to hold associate membership, which holds no voting rights, as they are one of the founder members of the ECA. The organisation considers the club’s history to be continuous regardless of the change of company. "With regards to associated membership, the membership policy states amongst others that founding members are granted automatic membership," the spokesperson explained. "Taking into account that the 'new entity' also acquired the goodwill of the 'old entity', it was held by the ECA executive board that the goodwill, taking into account legal and practical arguments, also included the history of the 'old company'. "Consequently it was concluded that Rangers FC was entitled to associated membership of ECA as considered to be a founding member."